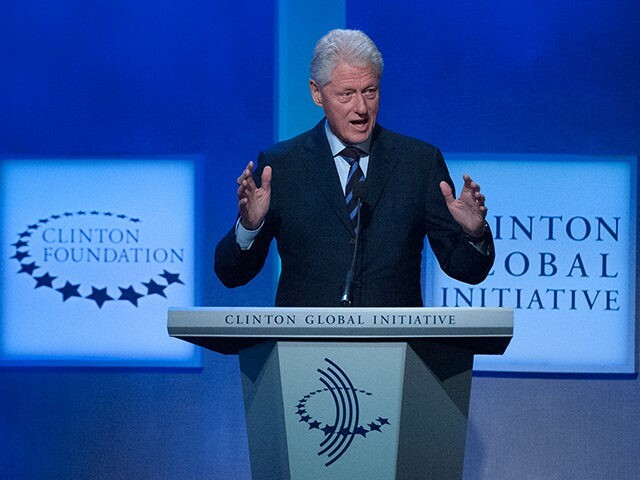 Annie Karni writes in Politico about former President Bill Clinton’s efforts to use the final meeting of the Clinton Global Initiative to rebut the “smearing of his life’s work” at the Clinton Foundation, which has been tarnished by the “Clinton Cash” pay-to-play scandals. His wife’s operatives are hunkered down in debate prep but Bill Clinton is waging a campaign of his own, trying to clear the name of a Foundation that has caused controversy in the 2016 race. The Foundation in August announced it would no longer accept corporate or foreign contributions if Hillary Clinton wins the White House and that CGI would come to an end, regardless of the election outcome. But even allies worried that this year’s conference was an unforced error that served only to cede the spotlight to the wrong Clinton just as the Democratic nominee needs to promote her own case to voters. The former president seemed determined to turn it into an opportunity to change the narrative. Bill Clinton, close allies said, has been furious about what he sees as the “smearing” of his life’s work, the AIDS relief and the global fight on behalf of women’s rights overshadowed by questions of where the Foundation gets its money. And both Clintons, sources said, have been frustrated that Hillary Clinton’s Brooklyn-based campaign has not done enough to explain the philanthropic work the charity does at home and abroad, or that its mission is moral, not financial.